Two weekends ago, we’ve boarded the train to London and started our mini UK tour. 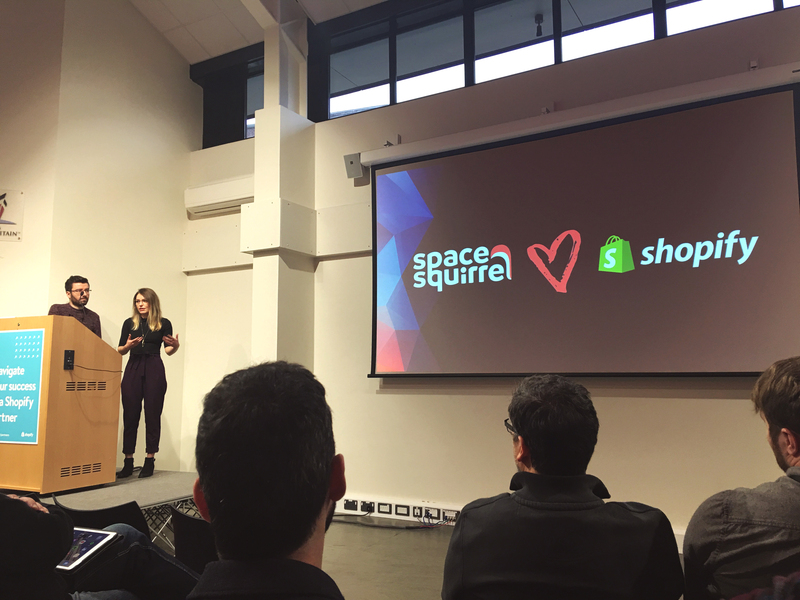 Our first stop was the Shopify Partner Meetup on Dec 1st, hosted by Rob Barr of Recharge Payments at Campus London. 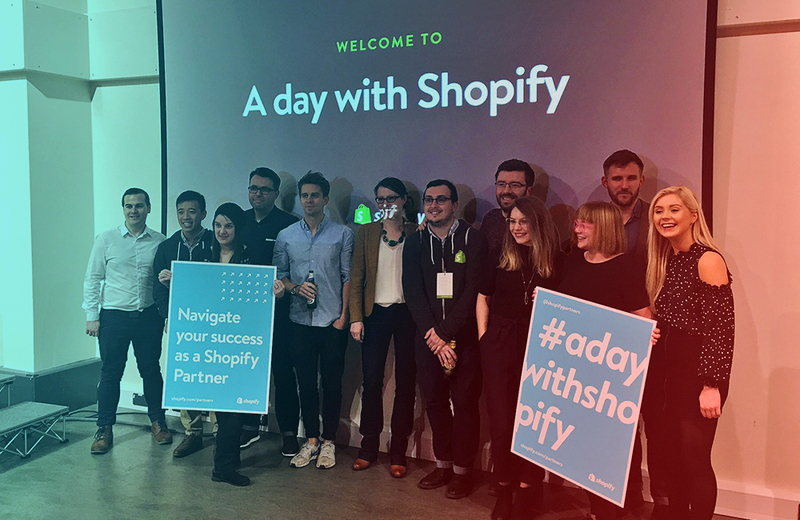 We’ve had the pleasure of meeting and sharing experience with other Shopify Partners Loyalty Lion and Keeping Shop and get to hear an inspiring talk from We Make Websites’s Alex O’Byrne on how they grow and run their design-oriented agency. Our biggest takeout from that night were the presentations from Shopify team themselves. 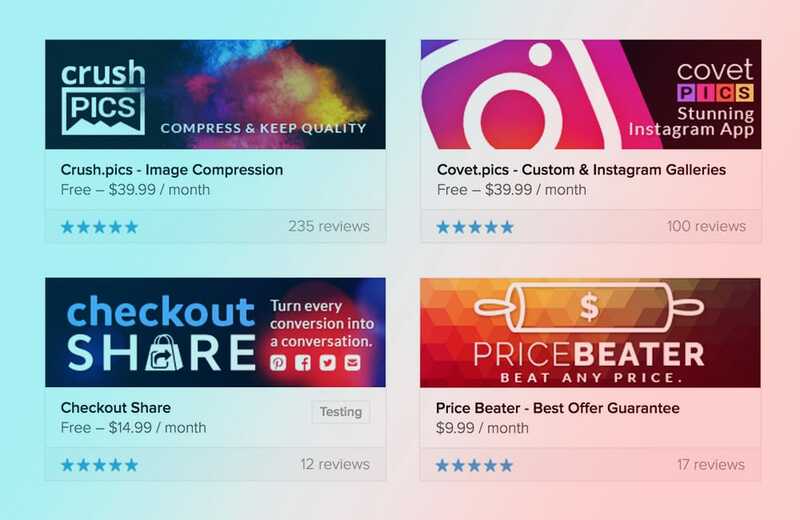 A deeper look into Shopify UK’s workings from Joel Bronkowski showed us in what good hands we are on this side of the pond, and then Nicholas Chen from Shopify’s Canada team knocked our socks off with growing numbers of average Shopify App installs, merchant app spending and developer payouts. On Sunday we headed to Bristol where the intro night gave us a real treat of seeing illustrator/rap artist Mr. Bingo delight us through his 37 lessons in life (and work) at the Tekla Ship stage. We’ve mingled with more Shopify teammates from both UK and Canada and then sealed the night off with more lessons from designer Gavin Strange. A Day With Shopify conference started on Monday 5th, where we woke up with a mild case of stage fright, seeing this was our first public speaking gig. (We’ve previously only hosted a game design workshop in our past life as aspiring game devs.) It has quickly dissipated, for what we found waiting for us at the venue was a crowd of friendly faces. The opening keynote was delivered by Monika Piotrowicz, Shopify’s director of UX, who again brought us up to speed with Shopify ecosystem’s brilliant growth. Piers Thorogood from We Make Websites followed with a developer’s angle on the growth of their agency from London, and gave us some idea of what kind of decisions and routines we’ll have to incorporate if we continue to grow. After our talk, our Leeds friend Dan Conboy from Statement agency talked about rapidly changing eCommerce environment, something Noir Luxe also touched upon in their finishing talk. The end session was a live stream Q&A with Harley Finkelstein, Shopify’s COO and Partner Program founder. 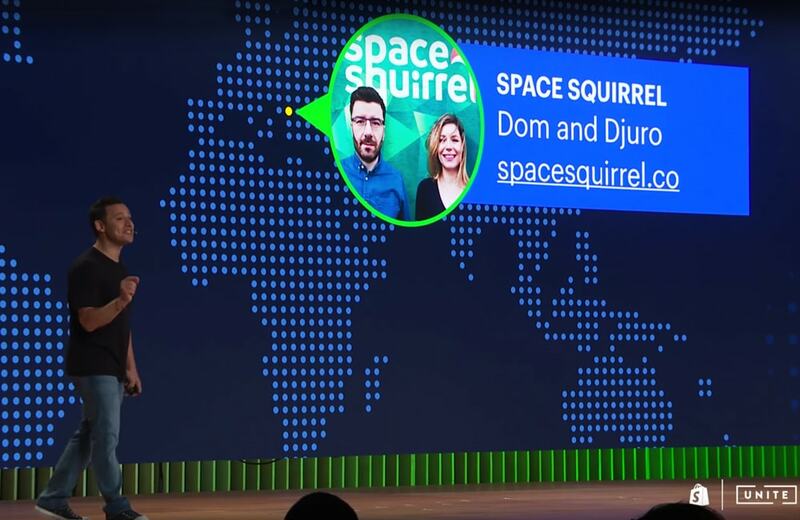 With our own “Around the World in 4 Apps: a Journey into the Shopify App Store Ecosystem” aptly named talk, we took the audience through our experience in developing, launching and maintaining our 4 apps in the Shopify App Store so far. 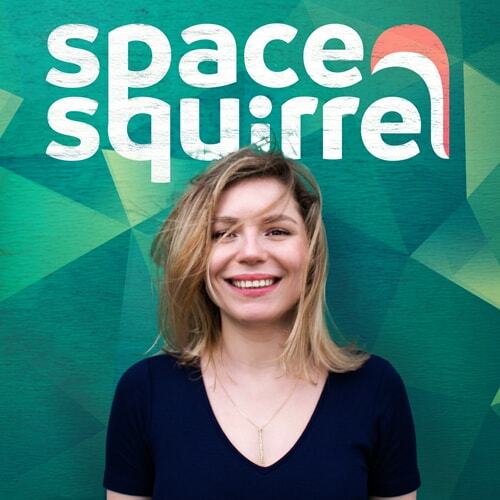 We’ve briefly touched upon our previous startup endeavours, our nomadic lifestyle and how it all ties into Space Squirrel’s day-to-day operations. We’ve shared our growth charts, our existing branding and non-existing marketing efforts, dazzled with our world-travel photos and got real with needing a base to grow your business from. The reactions were overwhelmingly positive and we hope everyone got something useful out of it. Still, the highlight of the event were of course the people we got to meet. Again we bounced app-related ideas with fellow app makers Sweet Tooth who came all the way from Canada, as well as with Monkey Data from Chekia (yes, we respect rebranding!). We got to chat up We Make Websites founders Alex and Piers again, and get to know other brilliant UK agencies Eastside CO and Goram and Vincent, Irish powerhouses Superior Marketing and Underwater Pistol plus plenty of Shopify experts around UK and farther places (Hi Rosa from Iceland, hello Marco and from Germany!). We’ve finally met in person (and proceeded to group hug) our Shopify partner Manager Shauna M. Moran, who recommended us to this event and knew we had a talk in us, as well as wonderful Keir Whitaker and Cat Hunter who guided us through preparing the talk. What we left with were new work and friend contacts, brilliant ideas from fellow developers, designers and entrepreneurs and a replenished hunger to create more apps. There is a wonderful energy in person-to-person contact that happens at meetups and conferences that we’ll make sure not to miss out on in all things Shopify, the friendliest community yet to create on. 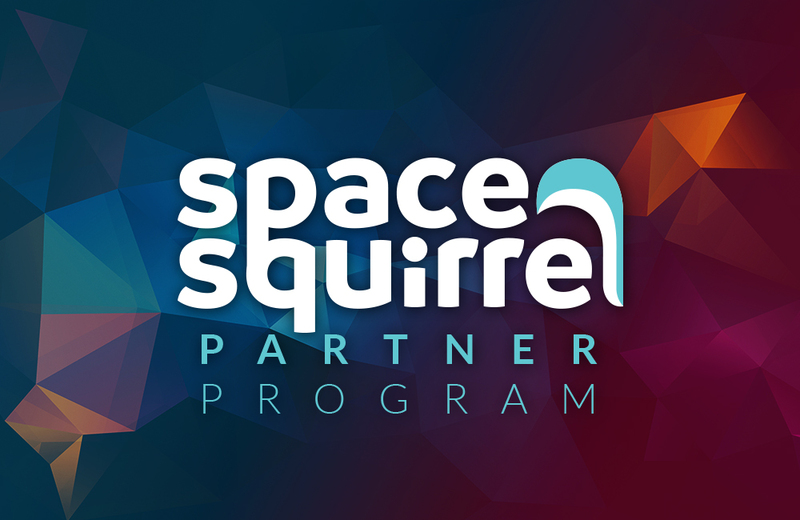 Djuro is the head designer and a co-founder of Space Squirrel. She has been a designer-slash-illustrator in the web sphere for over 11 years now. Always curious to understand and ready to perfect, she won't hesitate to try out different tools and keep her skills up to date. The same hunger drives her globetrotting lifestyle and a multitude of hobbies.